Sony's Unlimited music service is now available for the Walkman Line. Before it was initially only limited to Android devices, gaming devices and Sony's Tablets. There are 2 pricing categories, 3.99 and 9.99 but in order to use it on a Walkman, the 9.99 plan has to be purchased. 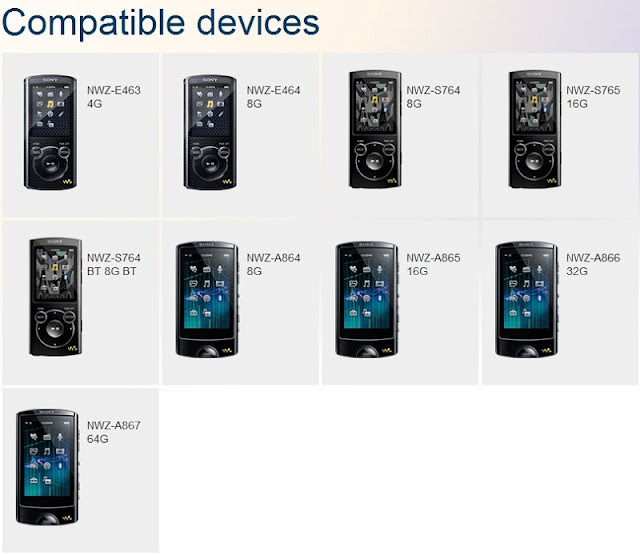 Unfortunately service availability is limited, with users only from Australia, France, Germany, Ireland, Italy, New Zealand, Spain, United Kingdom, and United States being able to access the new function on their Walkman. This is an intriguing new function on the new Walkman if you are into streaming music and if you are in the areas where it is available this might be a nice incentive to get one of the new Walkmans as a gift for someone or yourself. List of compatible devices and link to the Sony site after the break.